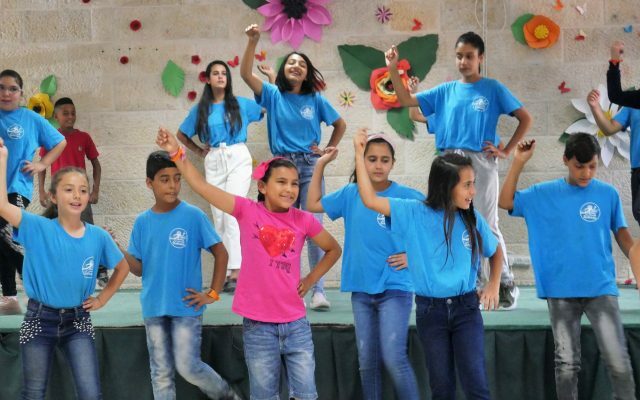 Ghirass Cultural Centre is affiliated to the Bethlehem Arab Society for Rehabilitation (BASR) and this summer approximately 300 boys and girls aged 5-14 participated in two consecutive summer camps that started on 5th July 2018, finishing on 12th August 2018. The children were offered the choice of many activities such as dancing, drawing, handicrafts, dabkeh, singing, Aikido and climbing, as well as outdoor trips and swimming. The activities concluded with two closing ceremonies, during which the children were presented with their completed work and their achievements acknowledged.